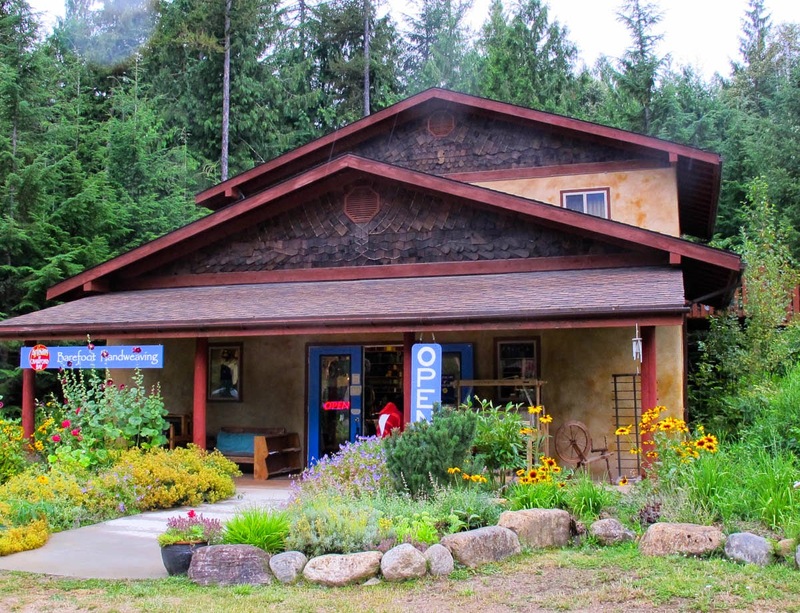 While traveling Hwy 3A in British Columbia along the International Selkirk Loop, we made a stop in the quaint village of Crawford Bay to check out several of the neat looking artisan workshops located there. 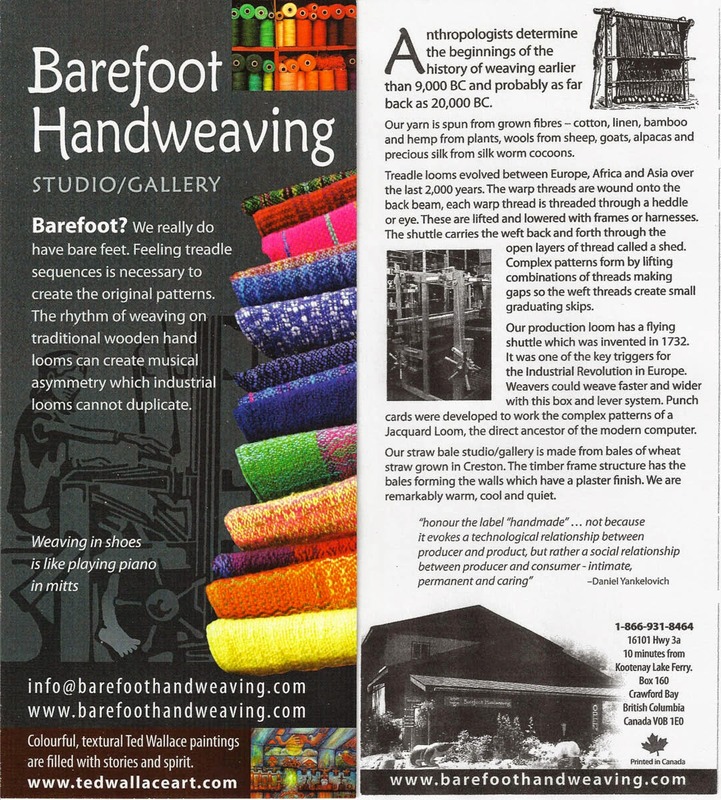 Barefoot Handweaving was my personal favorite and even though it isn't a quilt shop, I couldn't resist blogging about it. 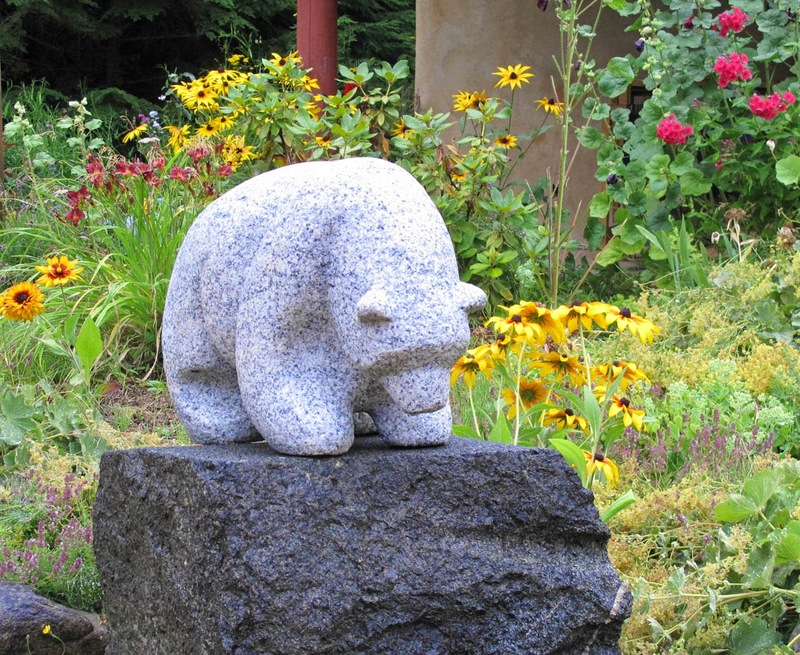 Cute little stone bear in the studio flower beds. 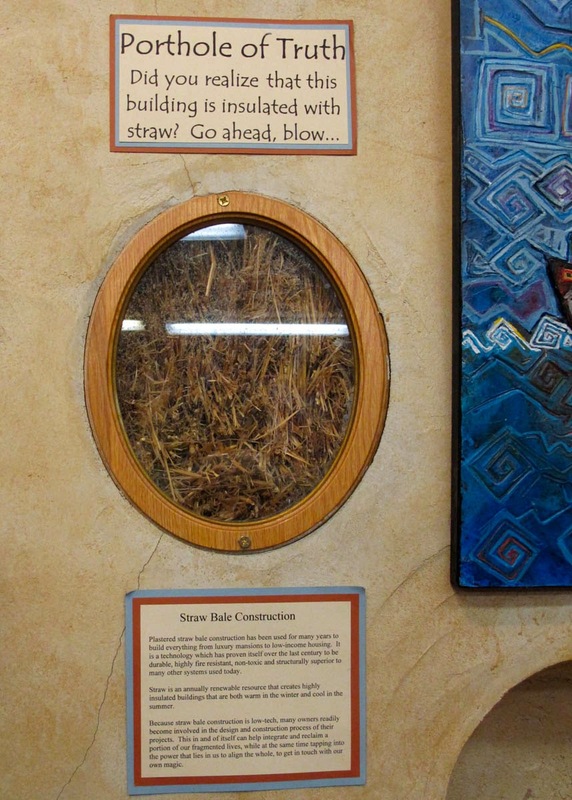 gives you a "birds eye view" of the interior of the walls and the plaque below gives information about this alternative building method. 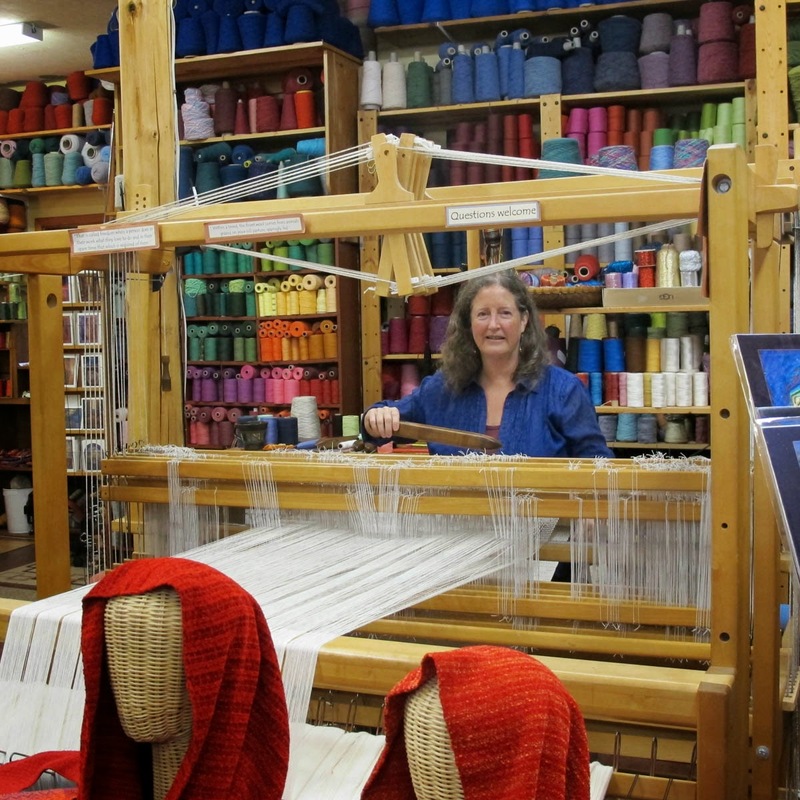 Janet uses a treadle loom to create beautiful wovens using colorful yarns spun from all natural fibers. And she does indeed operate the treadles of the machine with bare feet. 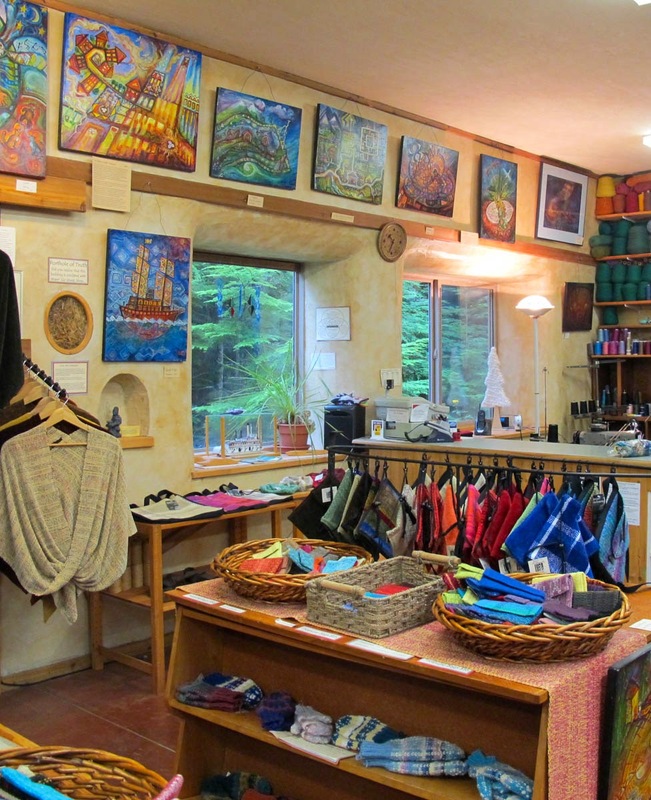 The large variety of items in the shop for wearing or decorating are created by local weavers, seamstresses, and a knitter. 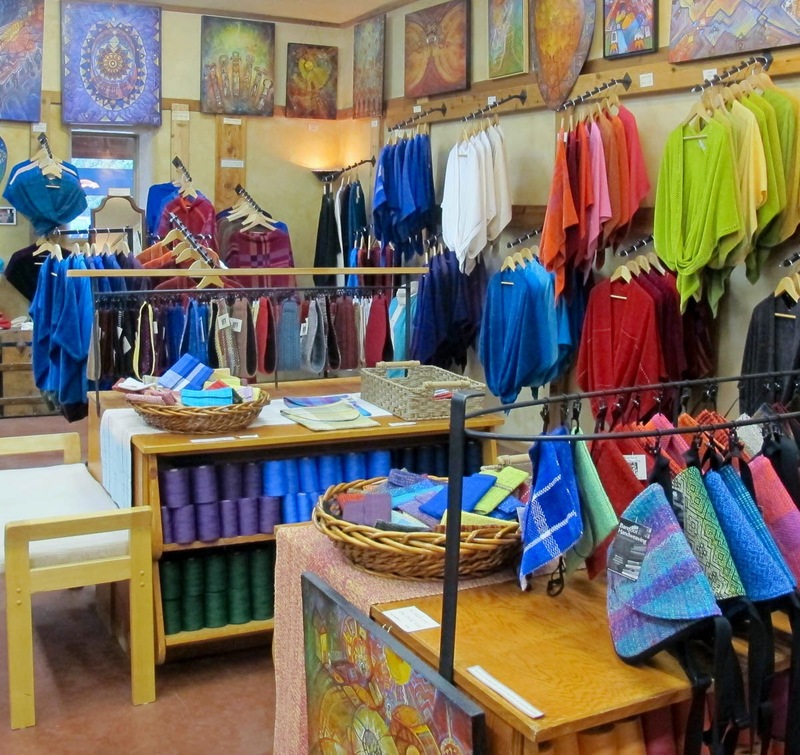 In bright cheerful colors, all are a delight to the eye and lush to the touch. 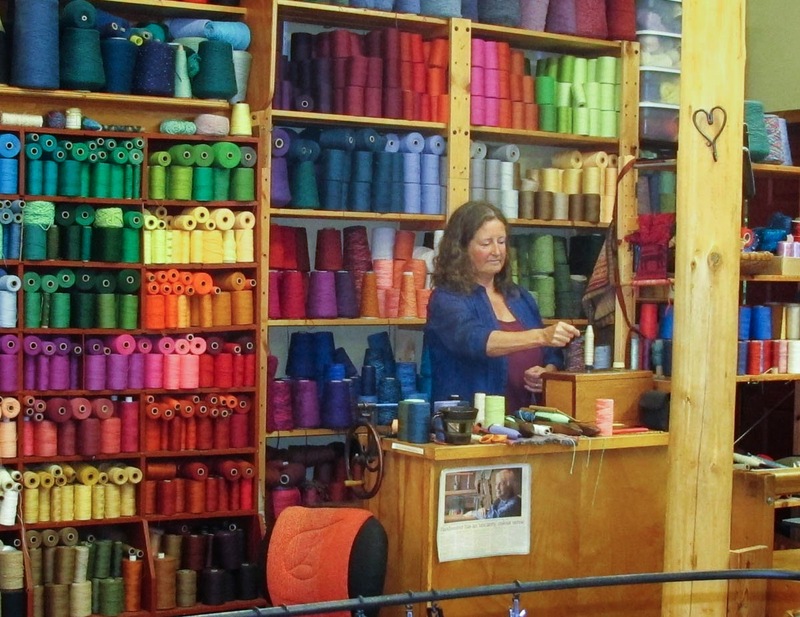 Janet spinning in front of shelves of colorful threads. Some of the many items that can be purchased. Living full-time in an RV, I have to be very careful about purchases! Not a lot of room for extras. But I just had to have something from the studio. I chose a tea towel thinking the size would work for a table runner in the RV. 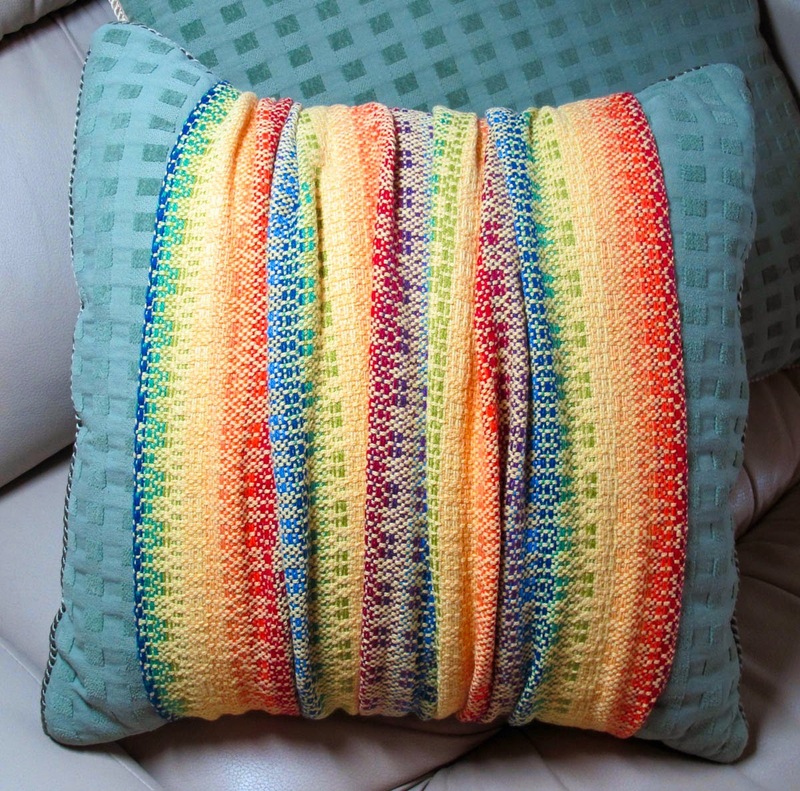 But instead I made a throw pillow wrap out of it (for now). Since I did not want to cut or damage the towel in any way, I simply whip stitched the ends together by hand around the pillow and then scrunched it up. I like the look and I can always do something else with it later if I choose.